Career Launcher is the preferred choice in Udaipur for aspirants of CAT, CLAT, BBA, IPM (IIM-Indore), Bank-PO, and SSC. Our courses are designed keeping in mind ease of understanding and enabling students to achieve success in various entrance and competitive exams. Since its inception in 2013, Career Launcher, Udaipur has built a reputation for success and reliability. Our team comprises faculty members from top-notch MBA and engineering institutions. We have successfully sent hundreds of students to IIMs and other top B-schools, as well as to the top national law schools in the country. Our outstanding results, year-on-year, are a true reflection of our excellence. Apart from classroom teaching, we also counsel students on their performance; and help them improve their study pattern, perfect an exam-taking strategy, and achieve high scores. 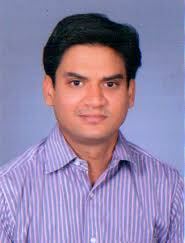 Priyank Paliwal is an alumunus of the presitigous FMS udaipur. Being M.Sc. (Mathematics) and MBA(Finance), he mentored thousands of students preparing for CAT, GMAT, GRE and various other competitive exams like Bank, SSC in his working career of 9 plus years.